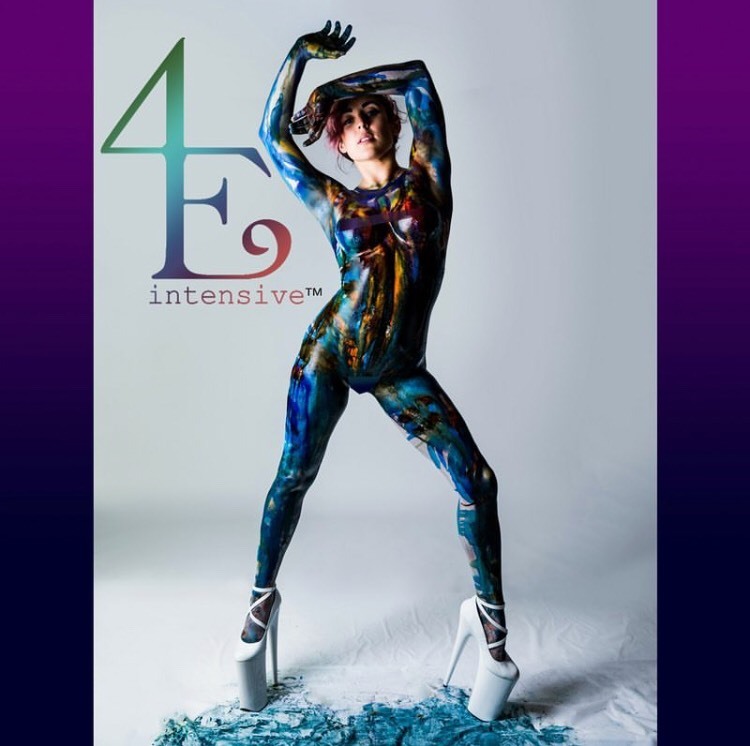 Saskatoon Pole & Dance Studio is excited to host Claudia Renee's 4 Elements Intensive May 15-18, 2018! Each intensive is 2 hours and will run 7-9PM. You will learn spin and static pole, lowflow, basework and floorwork, seamless transitions and fluidity and so much more. After 8 hours of training you will have a greater understanding of the body, how to pole smarter and have a full understanding of all the elements of pole. This intensive is for ALL LEVELS of pole! Claudia is an internationally recognized pole instructor, performer and choreographer. She’s taught choreography in over 6 countries since 2010. She’s the head instructor at the world famous “BeSpun” in Los Angeles, has taught numerous tutorials for “Cleo’s Rock’n Pole” as well as the “BeSpun Flow Challenge” She is also a sponsored Mighty Grip Athlete. You can see some of her signature choreography in “Pole Show LA” as well as ”Torque Method Aerial Arts Show”. Claudia is known for her captivating performances, especially in the inaugural “Miss Pole Dance America” where she played the character of “Dexter”. Her passion for creating longevity in pole dancers, building lasting relationships with her students and encouraging innovative movement in every student has helped her create a name for herself in the pole community. Claudia carries a degree in “Nutrition and Small Business Entrepreneurship”, has developed Flexibility programs for studios in TX and holds multiple certifications in the fitness industry. She aspires to inspire in the community every way possible and strives to leave a lasting impression on every person who learns from her. Master your base work and low flow skills, learn floor work sequences, transitions, intentional directional changes and how to use momentum to help you defy gravity. Be one with the spin pole. Learn everything you need to know about Spin technique. From proper alignment, learning how to slow down/speed up the pole and how to create clean transitions both aerially and on the floor. If you've ever struggled with microbends, pointing your toes, flexibility or clean transitions "water" will solve all of your problems. We will dive in to the art of grace, fluidity and methods of illusion to help you cheat your flexibility when necessary. Everything you need to know about being the best performer you can be. Learn how to "give face" at the best times, the blue print for creating/teaching choreography and a full choreographed routine. Saskatoon Pole & Dance studio is so excited to be able to offer an intensive that is beneficial to any pole dancer. Claudia is our very first Guest Instructor and we are so enthused to be starting off with such an inspiring performer and artist!